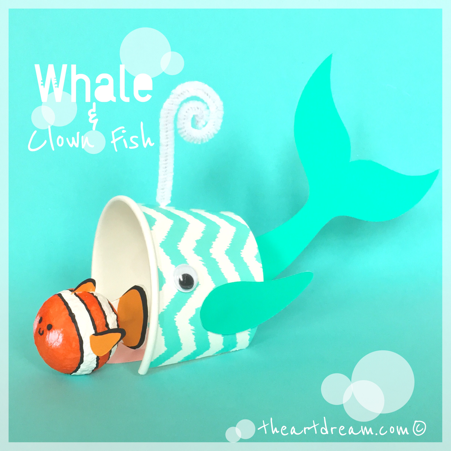 Uh-oh watch out little fish, I think this whale is hungry! 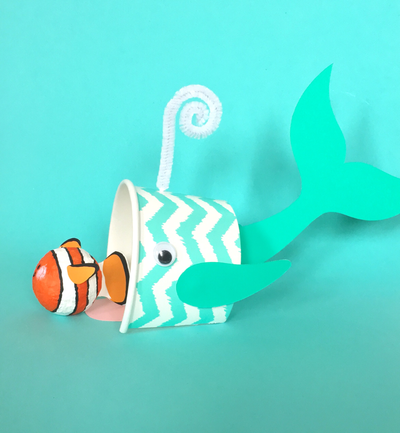 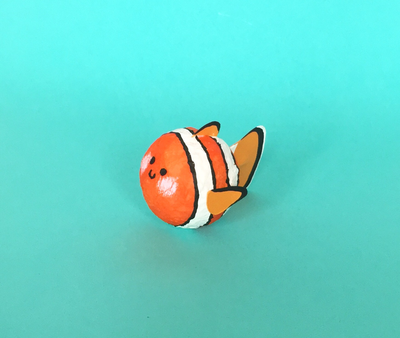 I used a paper dessert cup to create the body of this clown fish eating whale, it had the perfect color and pattern for making a sea creature. 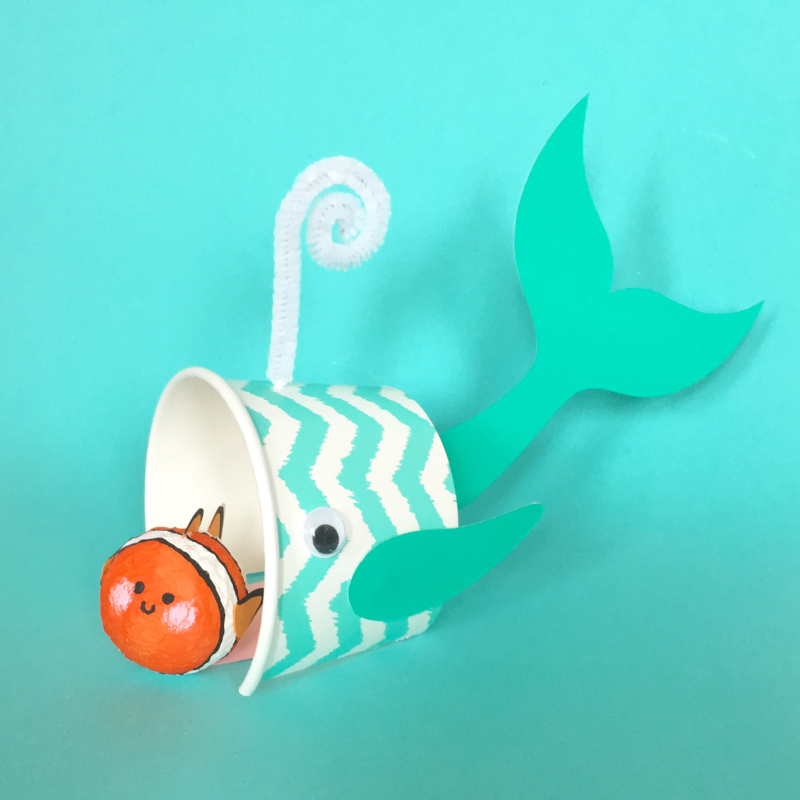 Get into the spring and summer spirit with these two fun fishy friends. Find the full tutorial to my whale and clown fish craft over at hellowonderful.co! 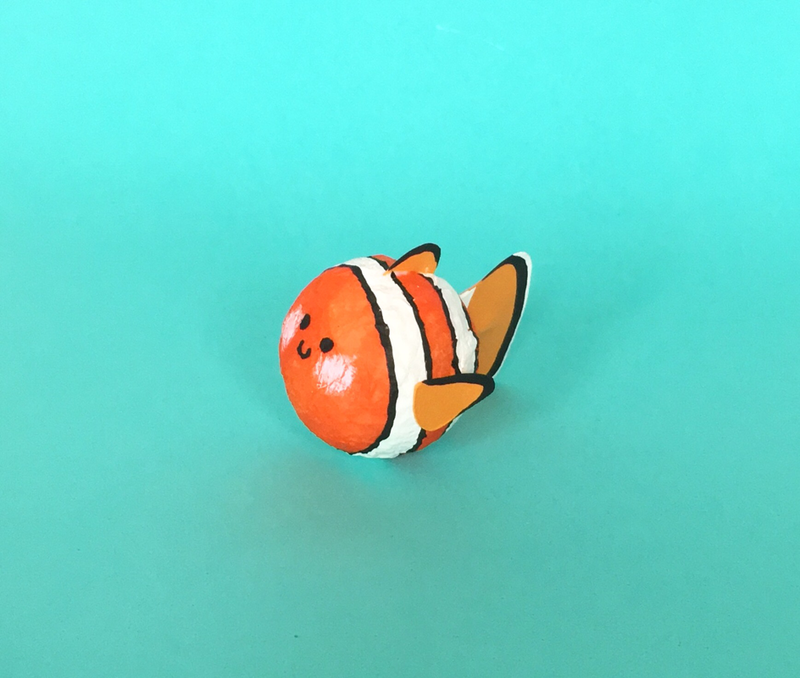 Also take a look at the gallery below!